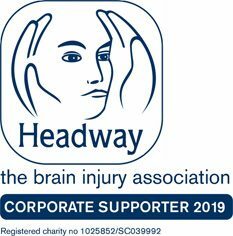 Mr P is a 53 yr old man who was involved in a road accident in June 2008, sustaining orthopaedic and brain injuries; he was on his bicycle and in collision with a lorry. Mr P spent time in hospital and rehabilitation units before making enough progress to live in his own home with a team of support workers in 2013. Mr P is a personable man who is keen to please and likes the company of others. He is highly motivated to improve his physical function and this is what drives him on each day. Rehabilitation is a high priority for Mr P, but he also loves the outdoors and likes to be busy going to the cinema, theatre, comedy nights, out for coffee, walks, etc. This post is within a small team who provide 24/7 to Mr P. The team generally work 24 hour shifts which includes a sleeping night. The team is made up of a mix of full and part time positions. The team also has relief staff who have no contracted hours and provide cover as and when required. £10.30 an hour – weekday day time hours. £11.33 an hour – weekend day time hours. If you are using Internet Explorer please request an application form here. Please ensure you quote the job you are applying for. Click the + to add another. Under the Health and Social Care Act 2008 all employers in the care sector need to obtain a full employment history from their staff; please therefore give as much information about previous posts held and relevant dates as possible. Please give details of two people who can be contacted for a reference. These should not be relatives and one must be your current or most recent employer. References will only be taken up after you have been interviewed. Because of the nature of the work for which you are applying, you must provide information about convictions and or cautions. In the event of being employed in connection with this application, any failure to disclose such could result in dismissal or disciplinary action. NB The amendments to the Exceptions Order 1975 (2013) provide that certain spent convictions and cautions are ‘protected’ and are not subject to disclosure to employers, and cannot be taken into account. Guidance and criteria on the filtering of these cautions and convictions can be found at the Disclosure and Barring Service website. Data Protection – if any job offer made is withdrawn as a result of any offences you disclose, your information will be returned to you. If you are successful the information will be retained in your personnel files only. If you answer YES to either of the 2 questions above we will send you a declaration form in the post, please bring this to interview if invited, this will only be opened if you are considered for appointment. If unsuccessful this information will be returned to you unopened. I declare that in submitting this application I am confirming that the information it contains is true and accurate, to the best of my knowledge. If untrue or inaccurate information is recorded, any employment contract may be invalidated and the employee subject to disciplinary action or dismissal.